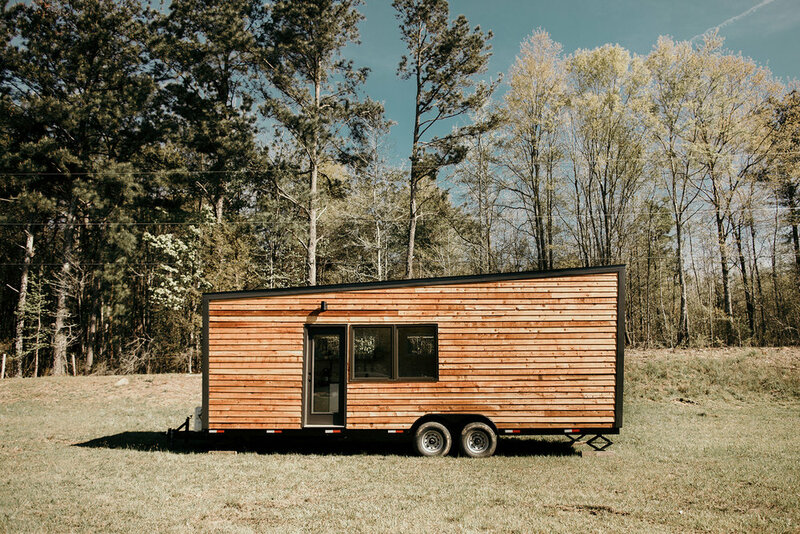 A BIG solution for planning, dreaming, and building your Tiny House. Inspired by modern architecture, going tiny doesn't mean sacrificing style. Our team has developed the perfect tiny house designed to hit all the modern emotions all while giving you environment this is both tactical and practical. Allow us to introduce you to LIV. Inspired by clean and modern lines of scandinavian architecture, she brings warmth and sustainable living into the coldest environment. Nora is a 1 bed, 240 SF contemporary design on a 28' drop axle flatbed trailer. Designed with nature and views in mind, she provides a window that will frame the most beautiful view. Liv is a 1 bed, 240 SF scandanavian inspired design on a 28' drop axle trailer. She has a unique hidden bed that is completely concealed during the day but pulls out when needed. This allows for more usable space during the day. 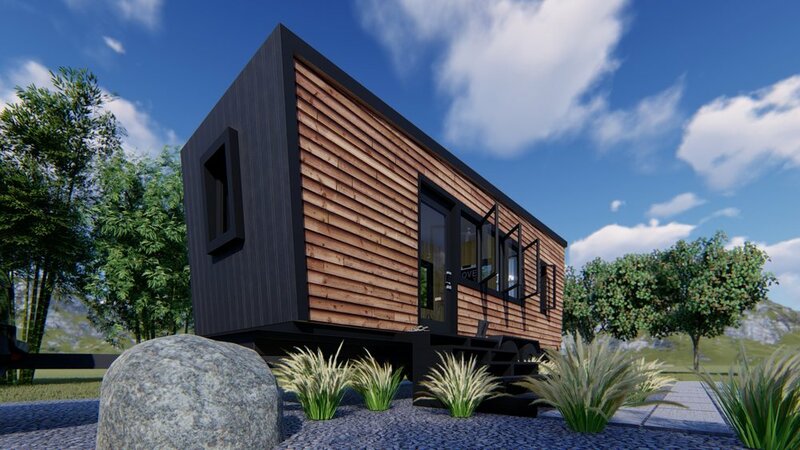 Vicky is a 2 bed (with loft), 336 SF design set on a 30' flatbed trailer. She was one of the first Lamon Luther tiny house giveaways. Denise is a 267 SF, 2 bed with loft design set on a 24' flatbed trailer. Her minimalist design provides the essential space needed for tiny living. Melanie is a 2 bed (with loft), 310 SF design. She was one of the Lamon Luther Tiny House giveaways and provides that extra room needed for tiny living. Norma-Jean is our 2 bed (with loft) farmhouse design on a 28' drop axle trailer. She was one of the Lamon Luther Tiny House giveaways and is one of our most requested designs. Instant Downloadable Files - at check out your will immediately receive a file ready for download, which gets you one step closer to going tiny. Easy to Understand – No longer be confused by other design platforms, we made our plans easy to understand and easy to build. 100% Satisfaction - We know that you will be 100% satisfied with your GO Tiny house plans. Various Renderings- With our go tiny plans you can see how each rendering of your tiny house will look.